The Kaua'i Cave amphipod is a small crustacean that lives in the caves of southeastern Kaua'i. Adults reach a length of only 0.4 inches. They are pale landhoppers that resemble shrimp and they have no need for eyes in their dark cave habitat. 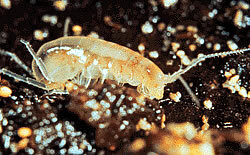 Kaua'i Cave amphipods feed on the decaying roots of surface vegetation that reach into the caves, and also rotting sticks, branches, and other plant materials. The Kaua'i Cave amphipod is believed to be the primary prey of the endangered Kaua'i Cave wolf spider. The main threat to the species is habitat loss and deterioration of its cave habitat caused by human activities associated with development and agriculture. This species is a troglobite, meaning it can not survive without its cave habitat. The amphipods have also been threatened by the use of chemical and biological pest controls, which often are used for killing insects such as ants and cockroaches. A number of caves where the species can be found are now protected to ensure their survival, and the US Fish and Wildife Service has developed the "Kukui'ula Development Corporation" for restoring and protecting caves where the species dwells. These caves provide habitat for the Kaua'i Cave amphipod and other threatened species native to them. Copyright Notice: This article is licensed under the GNU Free Documentation License. It uses material from the Wikipedia article "Spelaeorchestia". Glenn, C. R. 2006. "Earth's Endangered Creatures - Kauai Cave Amphipod Facts" (Online). 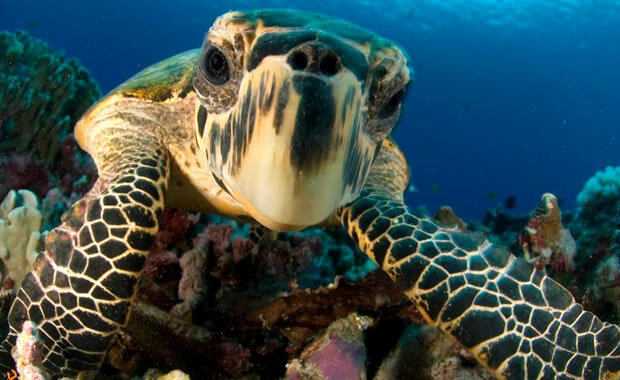 Accessed 4/21/2019 at http://earthsendangered.com/profile.asp?sp=528&ID=7. Need more Kauai Cave Amphipod facts?